Rebecca Fishman Lipsey wants to get all Miamians thinking about changemaking – and made it her job to mobilize them. As the executive director of Teach for America in Miami-Dade, she tripled the size of the organization, pushing to close the education achievement gap. Her firm, Radical Partners, accelerates the local social entrepreneurship scene. When thousands of Miamians pledged to take transit on Public Transit Day in December, Rebecca helped drive the movement. Ruth Shack, president emeritus of The Miami Foundation, always helped pave the way for emerging leaders, whether through the Miami Fellows or as a mentor. In Ruth’s honor, we annually recognize an under-40 leader who exhibits her same qualities – ethical leadership, dedication and service to Greater Miami – with the Ruth Shack Leadership Award. Rebecca, a Miami Fellows Class VI alum and this year’s Award honoree, embodies all of these while drives change around the causes she cares about every day – and inspires others to do the same. 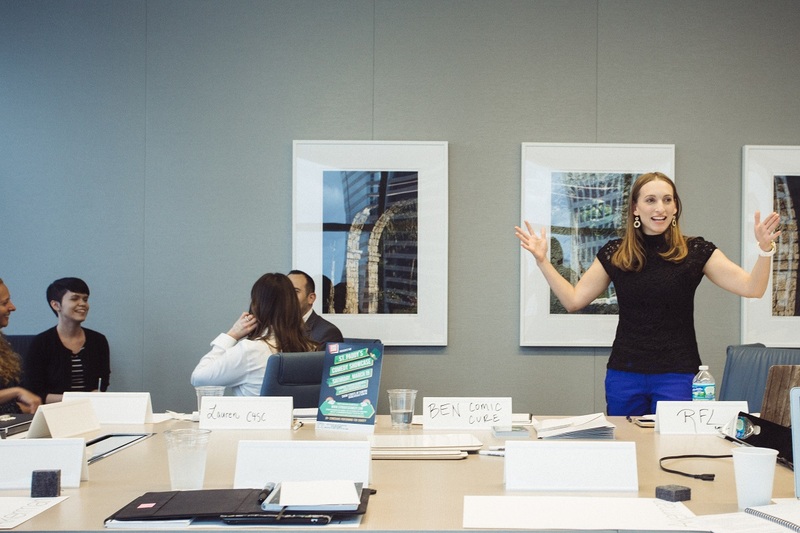 With this in mind, Rebecca launched Radical Partners’ Social Entrepreneurship Bootcamp, a three-month intensive professional development program for leaders of organizations that solve important civic issues. Graduates of this program include many of our community’s most celebrated young leaders, all part of a peer network Rebecca has established to help scale and sustain the impact of their work. In October 2014, she spearheaded the first 100 Great Ideas campaign, inviting anyone to share their thoughts on the future of local libraries. Since then, the campaign has covered two more issues – improving the Miami International Airport and the future of Miami-Dade’s public transit system. From the most recent campaign, Public Transit Day was born, making public transit a key issue for local leaders to address, spurring thousands of residents, including elected local officials, to take public transit. Rebecca also serves Miami’s youth as the youngest member in history of the Florida State Board of Education, where she adds a powerful and important voice for education reform. Roshni Neslage is communications assistant at The Miami Foundation.